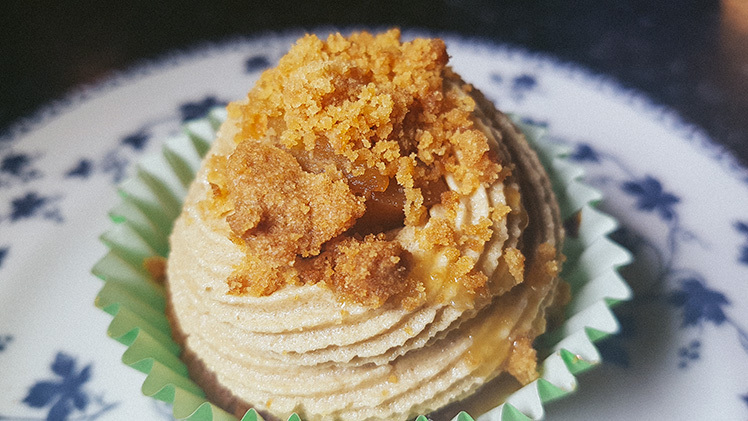 A cinnamon spiced cupcake filled with caramelised apples, topped with a brown sugar frosting, a salted caramel drizzle and crunchy pie crust. So here is the second of the four cupcakes I baked earlier this week. I’m a big fan of apples and cinnamon….a perfect match especially as Autumn is edging it’s way in! 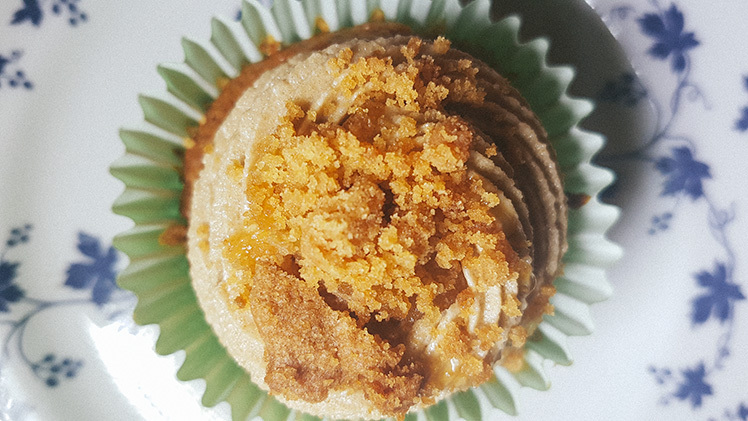 And there you have it…a perfectly balanced apple and cinnamon ‘apple pie’ cupcake. And just like the Nutella Cheesecake cupcakes I featured yesterday, I wasn’t overly sure on the frosting for these. It was quite grainy from the brown sugar and I’m just not sure it worked for me. Lots of others disagreed though and thought it was perfect so I’ll leave it for you to decide! What I did find is that the pie crust soaks up moisture from the buttercream – these photos are after the pie crust had sat on the cupcake for a few hours. It still tastes good, it’s just better fresh and crunchy so I would avoid putting it on top until just before eating if possible. 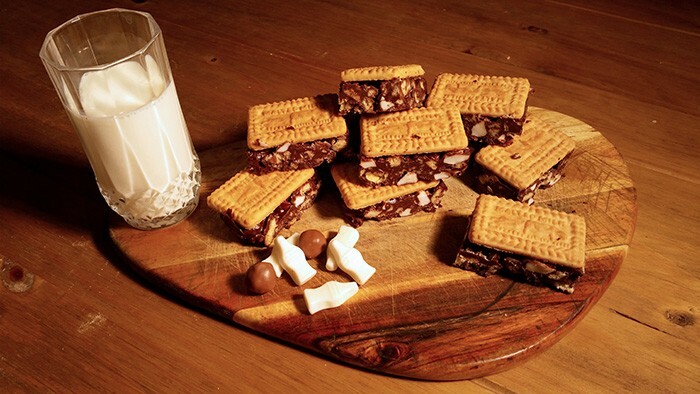 These are great for Autumn. 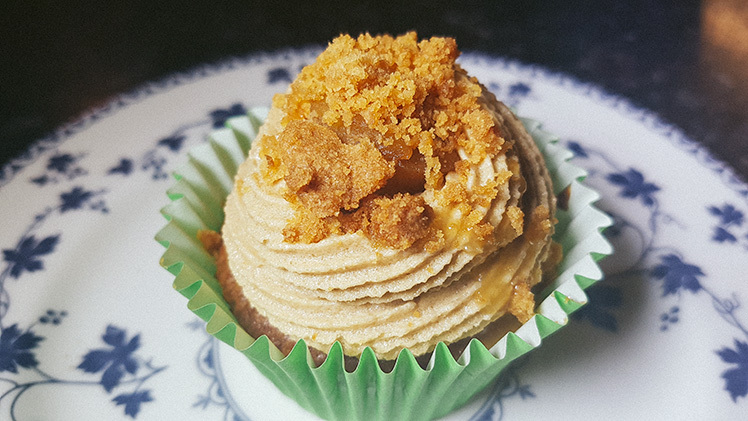 I had a few cakes left that I didn’t have enough icing for and I have happily been munching on them and the left over caramelised apples……they would be good with home made custard too!